We welcome you to book your next event in our private room at Nox! 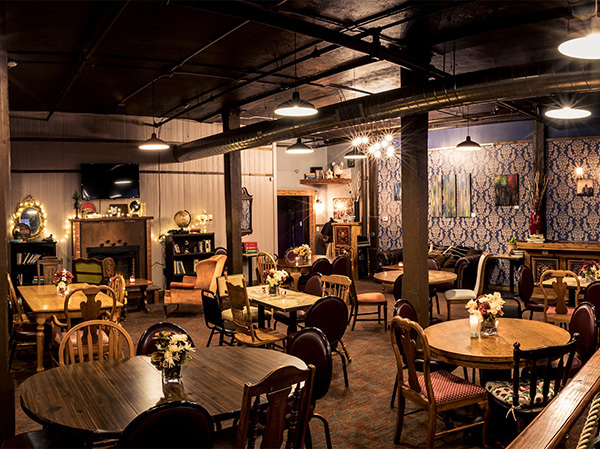 Host your next bridal shower, work meeting, book signing, workshop, graduation party, birthday party and so much more in our private room. 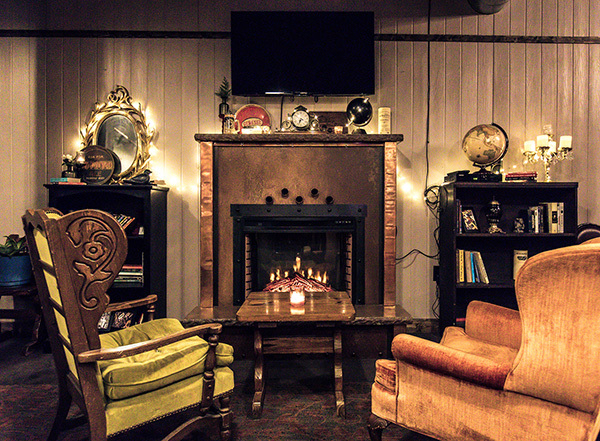 We provide a beautiful, cozy & private space in the Village Gate for parties and events, complete with a fireplace, books, and vintage decor. Our $200 minimum, with no additional fees, makes it affordable for even the smallest group. The space includes the use of tables and chairs that can be arranged in any way, seating up to 60, usage of Smart TV and PA system. We can also accommodate daytime events, conferences and business meetings. We cater too! Check out our catering menu for delicious food and drinks for your event.